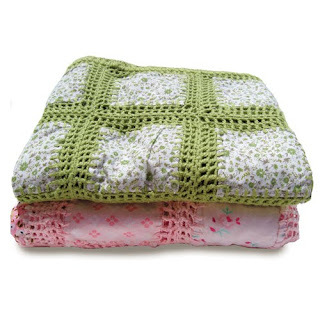 Green Baby Bargains: Yellow Kids Crocheted Blankets-52% Off! Only $28.99! 52% off! Start shopping HERE! This blanket is the ultimate lovey! A special hand-crocheted blanket that is light enough to be carried anywhere. Each soft cotton patchwork square is sewn in by hand. Absolutely a perfect gift! Size - 32" x 36"